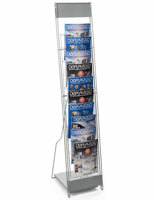 This 10-pocket metal literature stand breaks into 3 parts for quick assembly and teardown at conventions and tradeshows. 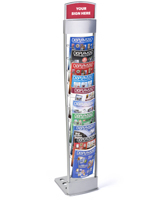 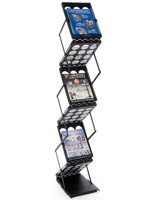 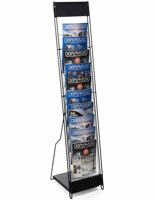 The freestanding magazine rack is able to showcase 8.5” x 11” periodicals for easy access and viewing by customers. 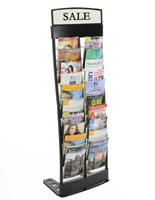 The literature stand with black finish will coordinate with many settings because of its neutral coloring and simple design. 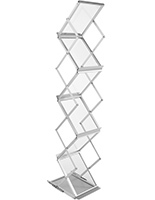 The wire fronts on the steel holder are slightly slanted to offer the best views possible. 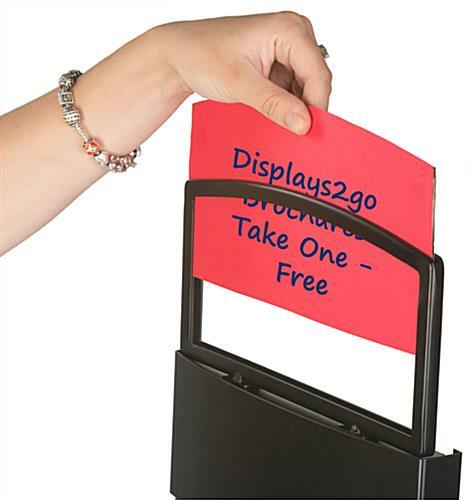 The stand is able to break into 3 larger parts that all fit neatly into a black carrying bag. 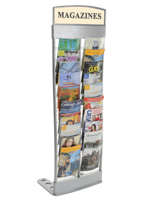 The magazine racks are able to display other literature too in the 9.25” wide freestanding holder.